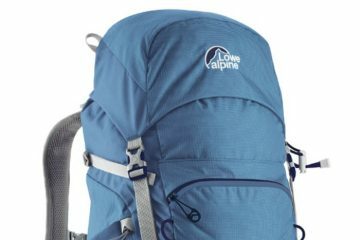 Lowe Alpine, best known for its high-quality rucksacks, has returned to the clothing market after a small break, and I’m pleased to welcome the company back because I’ve always been a fan of its garments. And if this down gilet is anything to go by, the high standards it always employs have not been sacrificed. 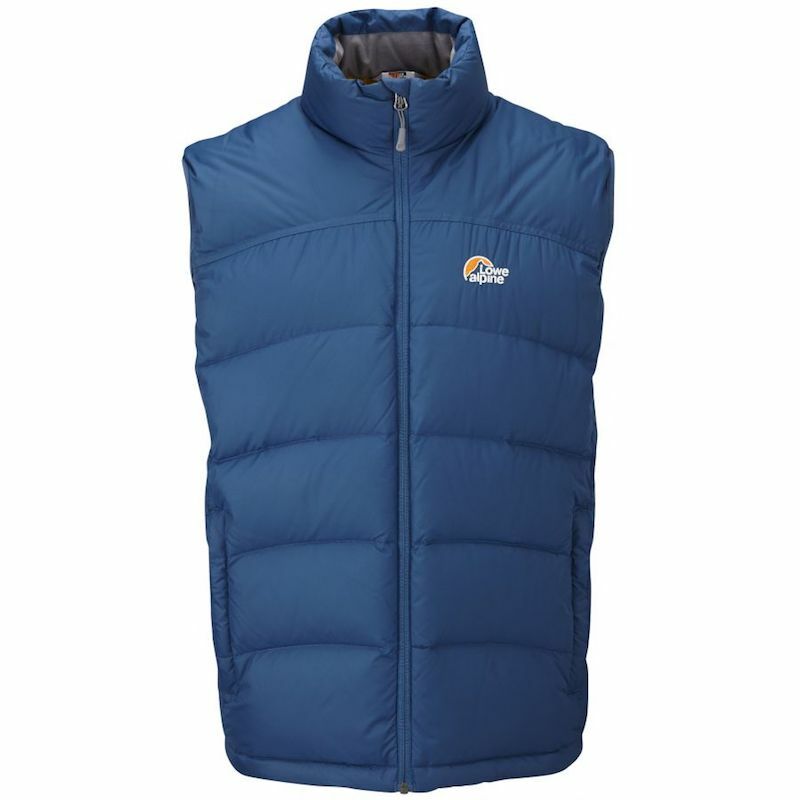 The Ladakh is a down vest that is quite bulky, as down gilets traditionally are, so it’s best worn as an outer layer rather than a mid layer. It’s also heavier than the others I have tested, at 509g in a size XL, although size-wise it feels more like a large as it’s quite snug. Make sure you try it on before you buy to get the sizing right. The down’s fill power is 650, which offers a decent amount of warmth, and it has had a hydrophobic treatment which means that if water penetrates the shell the down will not wet-out and clump together (which would reduce the warmth). 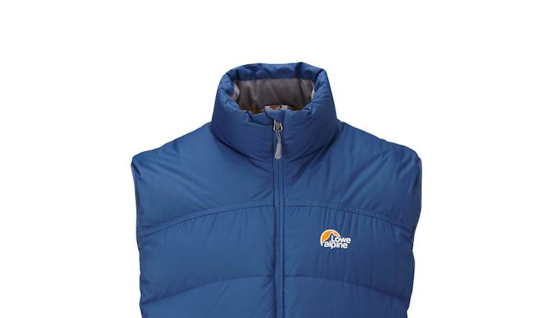 The down is in stitched baffles running horizontally around the gilet ensuring all-round warmth. The gilet’s outer shell is a lightweight polyester fabric which is wind and water-resistant, and the inner polyester lining wicks away sweat to help keep you warm and comfortable. The strong, snag-free YKK zip has a storm baffle behind it to stop any cool air getting through and the top of the zip has a cover to stop it digging into the neck. The high collar is snug but not restrictive and its inner face has a tricot lining which is soft against the skin and will absorb sweat, keeping it comfy. 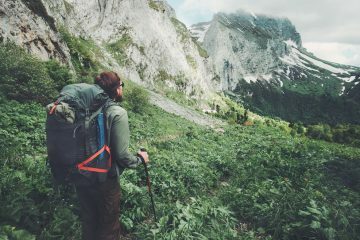 There are two fleece-lined zip-up handwarmer pockets and an inner pocket that doubles as a stuff sack for the jacket, although packed down it isn’t the smallest. Although the sizes come up a bit small the overall fit is good. The back has a drop tail to reduce draughts here and the hem is adjustable (and it’s easy to use even if you’re wearing gloves) to stop cold air getting through there. One for those really cold days – we love it.